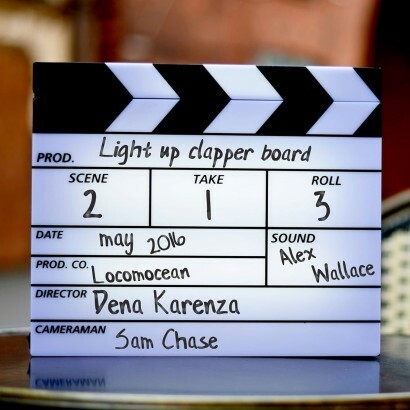 Celebrate your achievements, special events or even your favourite TV show with a light up clapperboard! 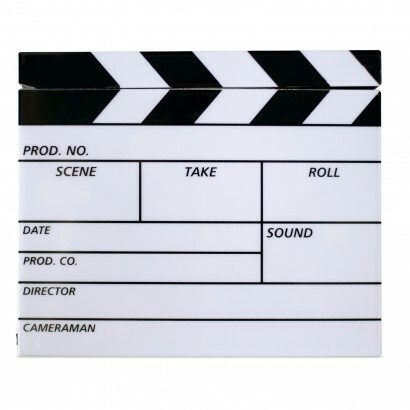 Just like the clapperboards used in the movies, you can personalise yours with your production name, the scene, the take, the director and more; from Friday night with the girls, to Christmas morning with the kids and date night with the hubby, you can document it all on this wipe clean lightbox that lights up when the arm comes down showing that your "production" is underway! Brilliant for film buffs and those who love fun and unusual lighting.